DELL EXTERNAL USB DVD-ROM DRIVE Optical Drive, P/N 0GRHR5, New! 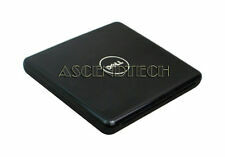 1 product rating - DELL EXTERNAL USB DVD-ROM DRIVE Optical Drive, P/N 0GRHR5, New! Trending at $17.98Trending price is based on prices over last 90 days. Trending at $16.78Trending price is based on prices over last 90 days. Dell DVD-ROM DV-18SA P/N D5M0T. IS-0D5M0T. DVD CDRW Laptop Disl Drive @C.
This page was last updated: 25-Apr 15:55. Number of bids and bid amounts may be slightly out of date. See each listing for international shipping options and costs.